・To contribute to society through corporate and social responsibility. One percent of the profit is donated to support children in the world. NCK is combating global warming with partners all over the world through the manufacturing of safe and secure products for environmental protection. Its main target markets are countries with warm climates, where people look for products with assured functionality and excellent quality. NCK began as a cosmetic company under a different name. The key material of the silica is basically used for gadget heat radiation material (ultra-micro size) and for cosmetic skin-shining material (micro-size). When the material was introduced by the Toyota 1st venture company to NCK, Mr. Manaka was the company’s advisor at the time and intuitively thought the material could be effective with paints for the heat measures of buildings. And it was. He mixed the material with standard paint, and achieved the superior functionality and quality which no one had previously believed possible. It was the invention of the unprecedented heat shield paint, Adgreencoat. Since then, the company has been addressing the global warming problem and working on environmental preservation and energy saving with Adgreencoat, just by applying it to buildings. The more comfortable the environment, the better the quality of life for all people around the world. Adgreencoat can contribute to creating an ideal lifestyle as it is environmentally certified as the eco-friendly paint not only in Japan but elsewhere in the world. 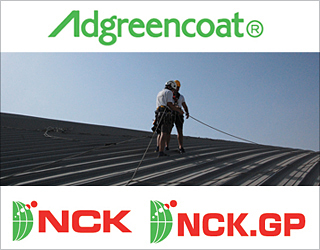 Adgreencoat – the heat shield paint that contributes to the global environment through energy-saving technology. Adgreencoat has one of the best functionalities of “reflect and release” heat from the sun. Especially, the emission of the heat, pictured (3), is the remarkable result that even darker colors produce. We focus on the markets primarily in countries with warm climates. In previous case studies in Japan, a factory of a major automotive producer as well as many other factories tried the Adgreencoat product; their positive results prompted a greater demand. Also, in the past year, some factories that have strict temperature controls recognized the functionality of the heat shield paint, and started using the application on their buildings. A major house builder adopted it as the specified paint for their housing business and is using it nationwide across Japan. For cases overseas, the targets are similar. The heat shield paint is getting widely known for its functionality in South-East Asia and the Middle East due to the fact that they have long summers and companies face high electricity costs. Many manufacturers face these challenges when they set up shop in these countries and consider their carbon dioxide emissions and their compatibility with the Kyoto protocol. Our objective is environmental preservation, and therefore our market is all over the world. According to the Paint and Coating Journal published 25 March 2015, NCK has 5% share in the paint heat shield market, placing it in the top 10. Local industry journalists have commented that NCK’s speed of business development has been amazingly high over the past five years in Japan. Our next aim is to bring the company global. As of June 2015, NCK has two main offices in Japan and Singapore, and agents and distributors in China, India, Indonesia, Malaysia, Taiwan, Thailand, Vietnam, United Arab Emirates, and the United States. The role of NCK Japan HQ is development in Japan and as the laboratory of the company; the role of NCK GP is to be in charge of overseas’ business with Taiwan and UAE; and the role of Malaysia is to oversee production in Islamic countries. We encourage all members to strive for environmental preservation globally, based on the notion that we believe to enrich the people’s lives and minds is through a pleasant environment. We will fulfil to improve the heat island circumstances with our heat shield paint technology. The first step of Adgreencoat business is to become the best heat shield paint in the market by 2018. NCK is defined as a small and medium-sized enterprise, and was established 10 years ago. At the time, it had three people working in Japan. Now it has 17 employees in domestic NCK in both the office and the laboratory, and two employees in overseas NCK GP, under the policy of “Small numbers – exceptional talent”. All team members are willing to work on global environmental preservation and energy saving measures and share a common belief in our technology. 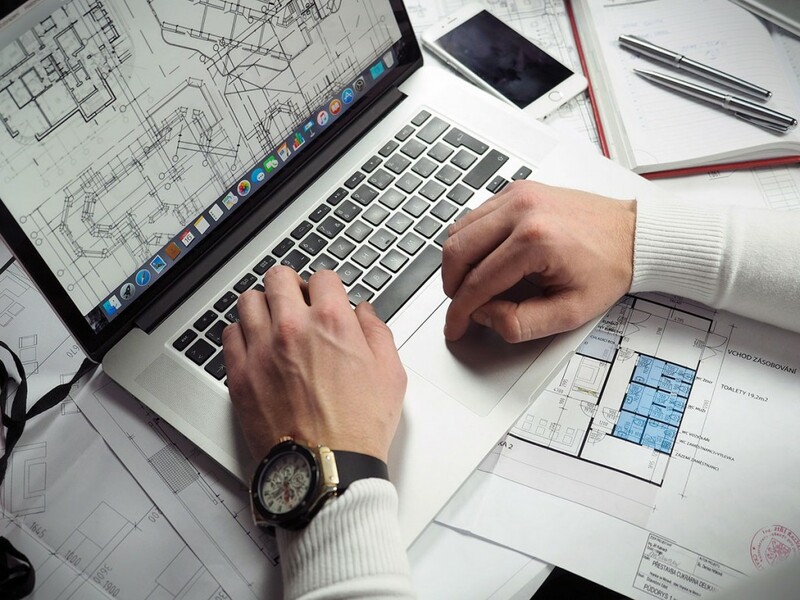 All members of the NCK team are responsible for customers, location and development of the company, regardless of the particular area of their work. The objective is to achieve customer satisfaction, site instruction and prompt follow-up. As we focus on our objectives in each region where we work, we also take into account the global scope as we aim to improve the environment. We instill our corporate vision with our entire staff company-wide, regardless of the country where they work. Invention of Adgreencoat and the application for the joint patent with Admatechs Co. Ltd.
Nihon Chuo Kenkyujo Co., Ltd. is now growing the business for Adgreencoat, with the key material developed by the Toyota 1st venture company product. NCK focuses not only on improving the eco-friendly nature of its product, but also on the conditions in the paint industry itself, where many still use compounds that are solvent-based, volatile, or contain fluorine resin and/or other affective compounds. Since the Japan Industrial Standard (JIS) K 5675 has been concluded in July 2011 for the standards of “high solar reflecting paint for roof”, our product ‘Adgreencoat GL’ has been registered as the one of nine JIS-approved products. Adgreencoat has already obtained environmental certification in Japan, Singapore, China, and Taiwan, which proves that Adgreencoat is certified as “safe and secure” product in many countries. Since the Lima Climate Change Conference at the end of 2014 and the CO₂ reduction target agreement was reached between China and USA, many countries are finally addressing the urgent issue of energy consumption and energy saving. Adgreencoat has been approved by independent environmental agencies, and has authorization pending by Halal authorities – where which it will be known as a safe and secure product, and will become the 1st Halal paint product. Once all of these approvals are complete, Adgreencoat will be established as a brand of real global environmental conservation and certified as being safe and secure in every region where it is distributed. We are confident about the course of action and direction taken to obtain the acknowledgement from people all over the world. We have been working diligently in CSR activities such as the supporter of “Bridge for Lives in Mozambique”, a private school for street children, and "safety and security reform network", actions for local safety with contractors and applicators at the same time. We will continue enacting this strategy both in Japan and abroad for the future. In its early days, Nihon Chuo Kenkyujo Co., Ltd. was involved with health foods and cosmetic products. When the company was not doing so well financially, the shareholder needed to find a solution and sent an advisor to find out what was going on with the company. Yasuhiro Manaka was a friend of the shareholder and at the time was looking for a new challenge. Mr Manaka, who currently the company’s president, looked into the products Nihon Chuo Kenkyujo Co., Ltd. had, and for any products that could potentially be popular in the market. As the sample material was also ceramic, he thought why not look into heat control? Despite having no knowledge of science or physics, he knew the kind of ceramic that was used for heat-control coating was a type of hollow balloon ceramic, literally shaped like a balloon. It holds air inside, working just as other thermal insulation products do, such as glass wool or glass fiber. It works better than the heat control coating that only relies on reflection. However, the ceramic method is a little more difficult to take care of; you have to paint it on thick to make it work as thermal insulation, and the consistency is not like regular paint. Its durability is not good, as it is susceptible to breaking due to foot traffic or drastic temperature changes, but it works. If Mr Manaka had known scientific theory, he wouldn’t have even tried that. The results of his experimentation were much better than Mr Manaka was expecting. He contacted the sales rep to communicate with manufacturer. The manufacturer didn’t take it seriously because he knew about ceramics and how hollow balloon ceramic works in heat shield coating. Then, three weeks later, the manufacturer called Mr Manaka back saying he might have just come up with a great invention. Heat control coatings generally utilize solar reflection to deflect light, as light changes to heat. Generally speaking, it is said that bright colors reflect more light, and dark colors absorb more light, according to scientific theory. The shinier and brighter the coatings, the more light reflects. So, a shiny white pigment with high light reflection was sought, and added to paint. For the next step, some hollow balloon ceramic was added into the mix, which works as thermal insulation product, blocking heat penetrating into the inside of a building. What Mr Manaka added was ceramic as well. Traditional applications are often called ceramic paints, but how this it works is completely different, due to its different ceramic properties. First of all, the size of nano-ceramic material is tiny, as small as cigarette smoke. Hollow balloon ceramics are 50 to 100 times as big. Other properties it has is that it’s dense, non-porous and round – truly spherical. Its consistency is just like regular paint, so it’s easy to paint; the surface becomes beautiful and doesn’t get cracks easily. Being dense it has better durability. Mr Manaka’s discovery also has two more important characteristics to its credit: beneficial heat and light properties. Light. Light reflects. Also, there is something called scattering. There is a scientific theory called Mie scattering and Rayleigh scattering in physics. It explains how light scatters when the light hits a particle. How it scatters depends on size of particle and wavelength of light (electromagnetic wave). What was found is the size and property of nano-ceramics make Mie scattering and Rayleigh scattering happen efficiently. Heat. The rest of the light energy changes to heat. As mentioned before, the same kind of ceramic is used to control heat in CPUs. IC chips become very hot with data transmitting activity. So, there used to be a big fan in a computer. Now it can be very small because of the work done by ceramics in it. The heat is going to be released before its penetration to a building. Since Mr Manaka’s discovery, Nihon Chuo Kenkyujo Co., Ltd. has continuously investigated its functionality and how to develop it to its full potential, and research into how it can be used in the best way possible continues every day.